Go with a fun way to keep important digital data close at hand with these USB bracelets. Each measures 9 7/8' x 15/16' x 3/8' for a comfortable fit on almost any wrist. 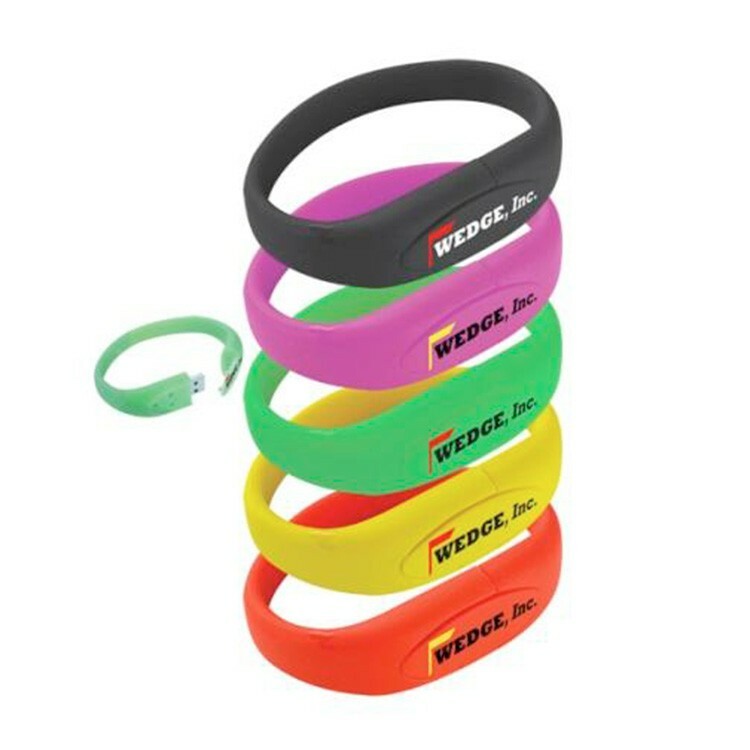 Each clips together for easy use and convenience and is available in a variety of vibrant colors. Laser engrave, print, or silkscreen your logo onto this handy promotional tool for the perfect way to put your name out there with something they're sure to wear!